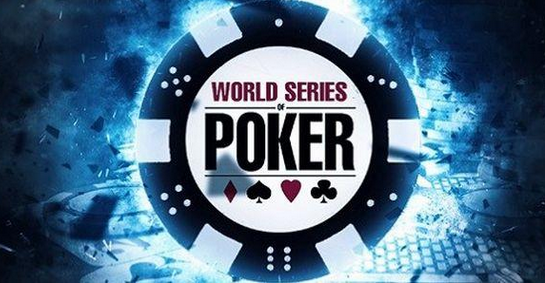 2019 World Series of Poker has a big surprise for its players, as they have decided to allow more chips after announcing a detailed 2019 schedule. They also announced other interesting additions such as lower buy-in tournaments and a Short Deck Championship. Players love it when they have more chips to start with, and they were happy when WSOP released structures for every one of the 89 events that are planned to take place in 2019. As they had previously promised, the increased value is clearly visible in the the structures. Seth Palansky, VP of Corporate Communications for WSOP, stated that they were confident that players would love the structures and have the best value ever at the WSOP. What Was Changed in 2019 WSOP? The two main things WSOP changed for the upcoming tournaments is that they increased starting stacks and instituted the BBA (big blind ante) in events where that is possible. However, they decided to make a couple of additional changes, all in order to enhance the poker experience in their tournaments. According to Palansky, Jack Effel’s team wanted all the changes to result in a deeper play at each stage of the tournament. Therefore, according to him, everyone would be more comfortable on Day 1 of every tournament. However, more chips are not always equal to more value, and the officials of WSOP are quite aware of this fact. In order to get an honest opinion for their structures, they contacted one of the biggest structure critics in the industry — Allen “Chainsaw” Kessler, who said that the structures were “excellent” overall. He supported the idea to include more chips and more play in all of the tournaments. The second major difference is that there will be more small no-limit events. In other words, WSOP will not only be restricted to high-rollers, and recreational players will be able to participate in WSOP events as well. Kessler also stated that he liked how these smaller events were structured and that they were going to be more competitive with deeper starting stacks and more play. Those who are looking for quick events will also have an opportunity to enjoy the Super Turbo Bounty events. According to Palansky, those players who don’t have enough time to play events for a couple of days will be able to enjoy this type of fast-paced play. To sum up, with events ranging from $400 to $100,000 in buy-ins, deep structures, and turbo events, 2019 WSOP will definitely offer something that every poker enthusiast will be able to enjoy. This is definitely going to be one of the best WSOP years as they are celebrating the 50th anniversary and made sure that the whole thing is just perfect, celebrating the most popular card game in the world.